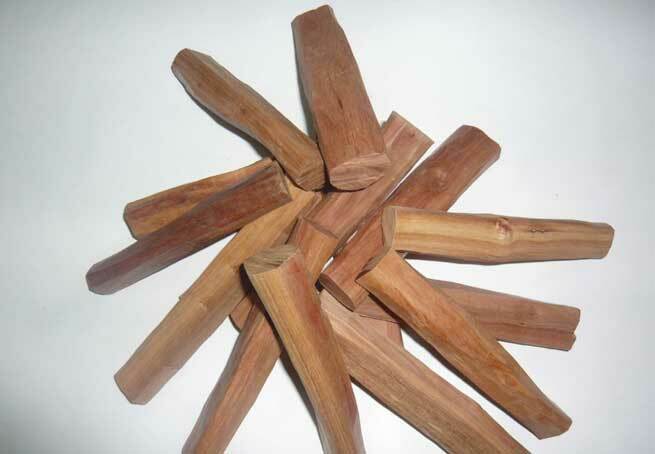 Sandalwood is one of the most easily available as well as widely used natural skin whitening ingredients you can ever use. If you are bothered about your skin getting dark and patchy for being exposed to pollution and UV rays continuously, this should be a staple in your skincare kitty. In this article, we are going to talk about some awesome DIY sandalwood face packs for skin whitening that would help you get a flawless look effortlessly. Why Use Sandalwood For Whitening Skin? Sandalwood can reduce the concentration of melanin in our skin, which eventually helps in whitening it. Also, sandalwood’s distinctive fragrance endears it to many people and the fact that it doesn’t need too much work and doesn’t get messy is a contributing factor to its popularity. Powdered sandalwood is also easily available in the market and can be used with a variety of other products for easy DIY face packs. It is widely used in readymade face packs too. 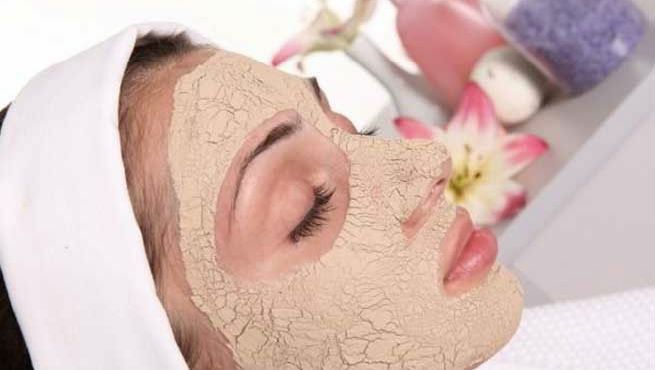 A whitening sandalwood face pack can be equally moisturizing for the skin. Mix two or three teaspoons of sandalwood powder with fresh raw milk or milk cream or rose water in a quantity just enough to make a smooth paste. Apply it all over your face evenly, wait for 20 minutes, and wash off with lukewarm water. Both milk (or milk cream) and rose water add to the skin whitening properties of sandalwood to a large extent while offering deep moisturization. The sandalwood-milk face pack is perfect for moisturizing normal, dry, or combination skin. But, milk tends to make the skin a little oily leading to breakouts. Hence, the sandalwood-rose water face pack is the rigth choice for an oily skin. You can diminish your existing acne and prevent further breakouts while whitening your skin with sandalwood. Prepare the acne-busting face pack by mixing a pinch of turmeric powder and 1 teaspoon of fresh rosewater with 1 tablespoon of sandalwood powder. Apply the paste thoroughly to your facial skin and keep it on for 15 minutes. Finally, rinse it off with plain water. It will not only help you get rid of acne and pimples but also fade their marks and scars away. As a result, you will get a whiter, blemish-free skin over time. No matter how whiter and lighter your skin is, it will never look flawless without a natural radiance. Sandalwood mixed with gram flour and water can add a beautiful natural glow to your skin while making it whiter, thereby giving you an absolutely gorgeous appearance. Apply the pack on your face, wait for about half an hour or until dries up, and then, wash off. However, you might need to slather some moisturizer on your face after using this pack. A sandalwood face pack can also work as an excellent anti-tan agent and whiten our skin tone significantly. All you need to do is add some lemon juice to it. Lemon juice is a powerful bleaching agent, which lightens our skin tone by removing sun tan and other blemishes from it. Hence, when the juice of half a lemon is squeezed into 4 teaspoons of sandalwood powder to make a smooth paste of medium consistency, it makes a great whitening face pack with superb tan removal qualities. Lemon is an astringent, which dries up the skin and causes irritation at times. So, if you’ve got inflammation or dry skin, be careful not to use it in your face pack. A simple paste made of sandalwood powder and a little rose water can help you treat your dark circles while improving your complexion wonderfully. Just apply the paste in thick layers to the areas under your eyes and go to bed. Wash it off the next morning with plain water. This overnight treatment will banish your panda eyes and lighten the skin under your eyes efficiently. You can also apply this pack all over your facial skin focusing on your under eyes to get an overall whitening effect. Always read the ingredients used in the product carefully before buying to ensure that it does not contain harmful chemicals or other compounds. Use Ayurvedic or organic sandalwood face packs as far as possible as they are far more likely to contain authentic ingredients. There are different packs which, though containing sandalwood, may not be suitable for your skin type. If a pack has neem along with sandalwood, it is generally meant for people with an oily skin who are prone to acne and pimples. Try a pack containing saffron with sandalwood as this doubles the skin lightening abilities of the product. Whitening your skin by artificial means can harm it in the long run. You may end up lightening it in patches and enhancing your aging process at the same time. But using natural ingredients, such as sandalwood can improve your overall complexion overall and soothe any form of irritation your skin may be experiencing in a completely safe manner. Therefore, a sandalwood face pack is indeed the answer for a fair and glowing complexion.